Classy Gear: Gear We Like â€“ July 2010 | It's not your tech, it's how you use it. For this month’s Classy Gear column, I wanted to highlight a couple of products that have been newly released this month, and a few other products I’ve had the opportunity to demo and try out for some of the other publications that I write for. Expect linking to full reviews in a few other locations, but I think that overall those additional reviews will likely help you with a buying decision. After all, more detail on the products that I suggest here is always good, right? Especially if that gear is actually worth considering – and can add a little class to your desk or your lifestyle. 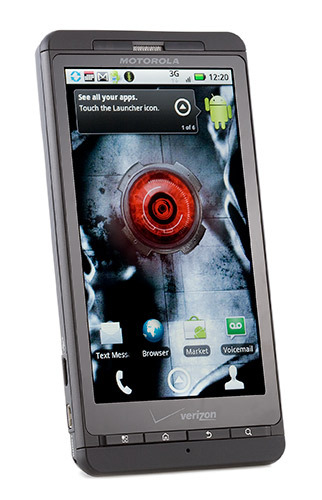 Among the lineup this month are the admirable Droid X from Motorola, as pictured, which I think was worth noting since last month’s column featured the iPhone 4, regardless of its antenna issues. You’ll also see a carry-all utility that will help you in almost any situation, a keyboard with some high tech features, and more. Let’s dive in after the jump! 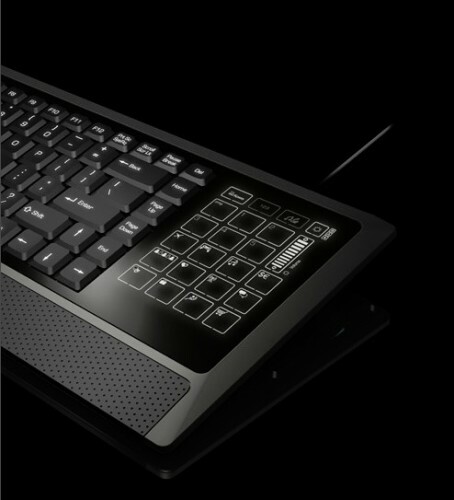 The Eclipse Wireless Litetouch Keyboard and the Eclipse Wired Litetouch Keyboard are both products that I’ve been following since their release at CES 2010 in January out in Las Vegas. Eclipse – now a brand owned by MadCatz, a company that makes a variety of computer peripherals and gaming devices – announced the product at CES and claimed it would be available by the end of Q1 2010. Then they said it would be available mid Q2. Now here we are, coming up on the very end of Q2 and the Litetouch is finally starting to make an appearance on store shelves, although it’s still very short of stock. I had the opportunity to review a wireless model for a summer keyboard roundup over at Tom’s Guide, and delays aside, Eclipse has a beautiful and high-tech keyboard on their hands with the Litetouch line. It has some pros and cons, but the programmable LCD panel on the right side is a huge benefit for people who love customizing their keyboard, and if you like the quiet, magliette calcio a poco prezzo sleek feel of laptop-style scissor keys, this brings them to a desktop with a high-tech edge in the form of the touch-sensitive LCD on the device. It’s definitely an attention-getter as well; as soon as I had the demo unit set up on my desk, I had people dropping by and pointing out how high-tech and unique the keyboard looked, and expressing how cool they thought it looked. The Litetouch models aren’t cheap, but if you have a little extra cash to spend on a geeky peripheral like this, it’s worth the price. 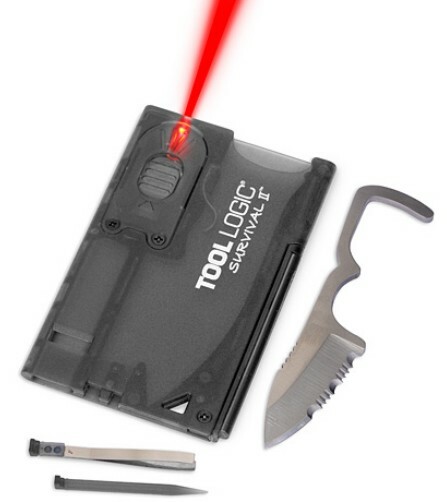 The beauty of the Tool Logic Survival Card with Firestarter is exactly as ThinkGeek describes it. With a single utility the size of a credit card that you can slip into your wallet or bag, you have not only a knife and a fire-steel strip that you can use to start a fire in case of emergency but a pen, a pair of tweezers, screwdriver, and even a red LED flashlight. It even has a security whistle that you can sound if that included knife just isn’t working out for you. Aside from being a single tool that can do just about anything, it’s slim and trim enough to fit anywhere when it’s not in use, and be ready for action when you need it. There’s nothing classier than looking entirely unassuming and then being able to produce the right tool at the right time from some hidden space on your person, and when it’s no longer needed, return to looking unassuming. That’s how James Bond did it, now so can you. Last month I highlighted the Apple iPhone 4, and this month an Android phone hit the market that’s earned high praise from the smartphone community. The Droid X from Motorola has a glorious 4.3-inch LCD display behind a capacitive touch-screen display, an 8 megapixel camera that also records video in 720p and outputs it using a built-in mini-HDMI port, the ability to turn into a wireless hotspot (at an additional charge) that serves are a portable wireless network for other devices like a laptop or an iPad, and and up to 220 hours of standby battery time. By and large, the battery life is apparently epic, and even though it comes with Android 2.1, Verizon Wireless plans to update it to Android 2.2 – Google’s latest iteration of their rapidly rising mobile OS – before the end of summer, and some reports claim that to be as early as the next couple of weeks. The Droid X is actually a Cheap Jerseys pretty large phone, measuring almost 3.5 inches wide and over 5 inches long – a physical size that’s not for everyone. Still, even though the phone is more of a slab than other devices, it’s actually thinner and lighter than most other smartphones of its caliber, including the iPhone 4. It’s currently the device to beat if you’re shopping for an Android phone, and it’s probably one of the first phones (like it’s predecessor, the original Droid by Motorola, which I own and love) that’s seriously challenged the iPhone in smartphone innovation. The Booq Mamba Catch is a messenger bag unlike any other – it doesn’t have a flap, and it opens like a clamshell backpack, and has a myriad of pockets and sleeve on the inside and the outside to protect your gear and give you plenty of room to stash all of your stuff. The best part of the Mamba Catch is that you carry it like a briefcase or a messenger bag, but it doesn’t have a flap, and all of the sleeves and pouches on the outside securely zip shut. 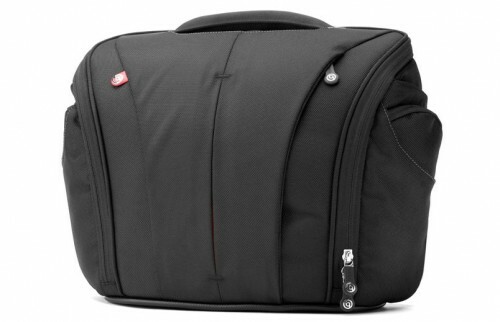 I wrote about the Mamba Catch for Gearlog when it came out, and ever since then I’ve had my eye on one if I ever wanted to replace my primary messenger bag because of its size and style – and it looks perfect for easy access to gear like cameras and business cards when I’m at conventions or shows. Best of all, Booq bags come with their location service, where the company will track the serial number of the bag if it’s ever stolen to make sure it’s not sold or pawned off somewhere. 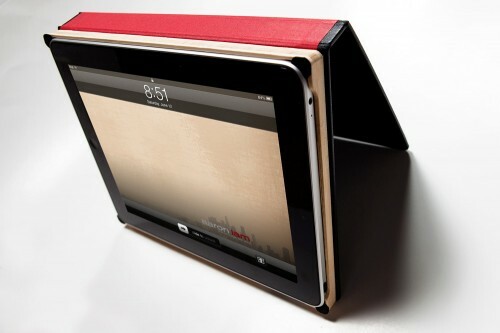 If you own an iPad, you have a number of case and carrier options for it, but none of them are quite as attractive and well designed as The Dodo Case – hand crafted and carved from bamboo and faux leather, and inspired by the look and feel of sketchbooks and notebooks like the Moleskine. The Dodo Case folds back and acts like a stand that you can use to watch video on your iPad or rest on its case while you use it. The bamboo is carved specifically to fit the iPad so you can still access all of the buttons and ports on it, and it fits snugly in the case even when in use. Perhaps the best thing – something I mentioned when I did a quick review of the Dodo Case elsewhere – is that it’s a sharp measure classier than most other polycarbonate, plastic, or styrene iPad hard and soft cases. It’s truly unique and hand-made in San Francisco by people who actually care about the design and performance of their product. Plus, it’s one of the more unique iPad cases I’ve ever seen. That wraps up this month’s Classy Gear segment! As always, let me know what you think of the roundup this month, and whether there are any products that you think should be included and featured in a future Classy Gear article! I've heard nothing but love for the Droid X. Too bad my contract isn't up until next year. The android phones are getting better and better. I wish they would slow down on making them so the one I bought last month isn't obsolete. Haha. A "carry all" is also called a murse, so let's just stick with messenger bag.